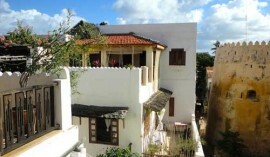 Kusini House is set on the south western side of Lamu town only 1 hour from Mombasa and 2 hours from Malindi tow. It is accessible by both air and road. 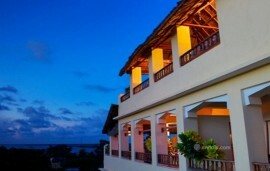 The house is famous for the various sports that can be enjoyed while there and these include water skis, snorkeling ,private speed boats and water tubes. 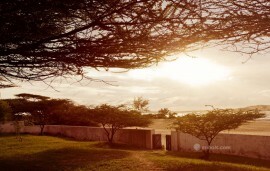 Kusini house is designed in the Swahili style, with traditional plaster work and wooden beams, built of coral block and furnished with stunning and sympathetic items from around the world. 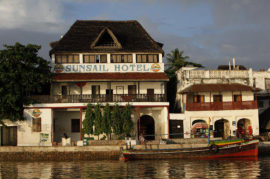 The house has the master bedrooms located on first floor with a massive four-poster wooden Lamu bed, two en suite bathrooms and two private balconies. On the ground floor, there is the dining area with a huge square Moroccan style table, surrounded by four comfortable cushioned benches. The ground floor of Kusini House also a spacious en suite guest room with twin beds, a private balcony, library room and massage terrace. Further along at the ocean end of the walled garden of Kusini House, there are two separate en-suite guest bedrooms with private verandas looking onto the sea. Above these guestrooms on one side is a roof terrace with swinging beds; the other provides the perfect breakfast spot, each looking onto the sea and the swimming pool. The house has a special room that is used for conferences and business meetings.